Planning your summer holidays? 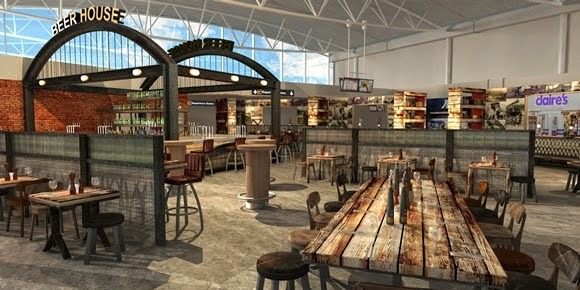 Newcastle airport's new bars are now up and running, with a new focus on quality beer. The brand new 'Beer House' bar is part of a £14 million redevelopment and features both our cask and keg products permanently available, with the cask rotating to provide a good variety for travellers. The Flying Hippo American style diner also stocks our ales, so your holiday this summer can now begin with a lovely pint of Tyne Bank cask ale, or perhaps our award winning Silver Dollar on keg while you wait for your flight.